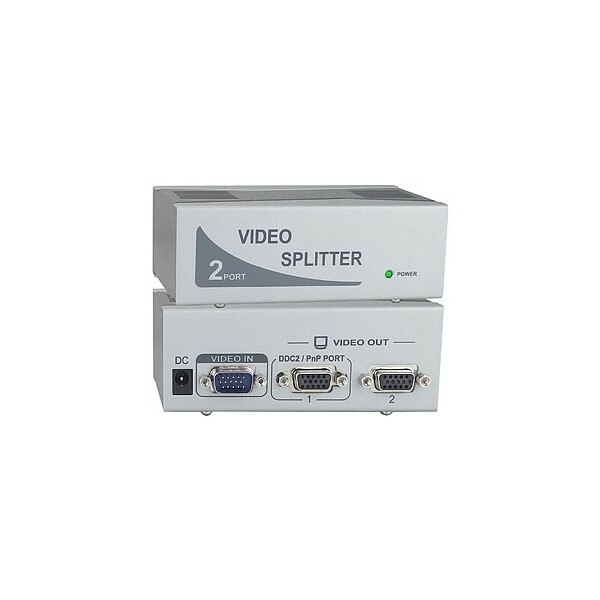 The VOPEX-2V-LC VGA video splitter (video port expander) enables two VGA /SVGA monitors to be driven by a single PC. The same image is displayed on both monitors. 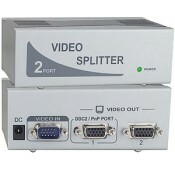 Male 15 pin HD connector. 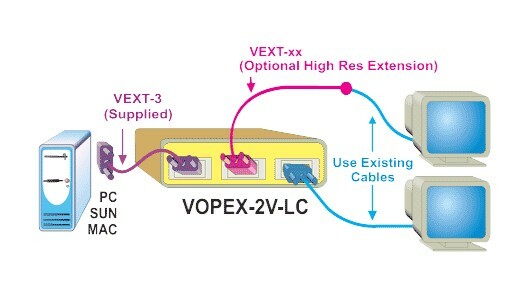 3-foot VGA male to female cable. 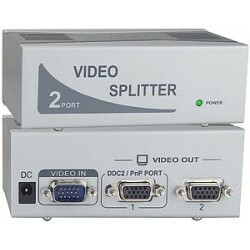 Use VGA extension cables to extend numerous monitors up to 100 feet away from the splitter.